Ellie keeps us in stitches around here. Most often, unintentionally….. Her quotability has been hampered the past 24 hours. 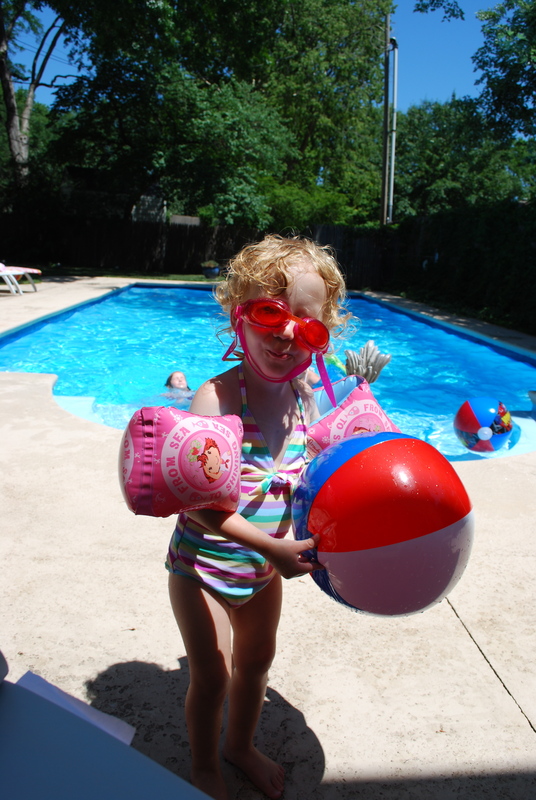 You see, she screamed – and I mean sca-reamed – through her first swim lesson yesterday. For the entire thirty minutes. I was such a proud mama. *sigh* Well, she gave her vocal cords such a work out that her normally raspy voice just up and disappeared along about yesterday afternoon. She’s still pretty hoarse and I just chuckle every time she tries to talk. And occasionally I remind her about why she has no voice.